Leaving one household and moving to another is a big stressor for most people. The problems and stress starts with putting all of your belongings into boxes. This creates a state of being where you cannot find anything and a feeling of “being at sea” takes over. The process continues for days or weeks after you physically get all of your belongings to your new residence; it takes that long to get things in a place. There are so many other things to think about: starting and ending services like water, electric, sewer, gas, internet, cable, phone, and all the packing, sorting cleaning that usually has to happen on both ends. If it is all TOO MUCH call the top end-of-lease cleaning company in Melbourne. 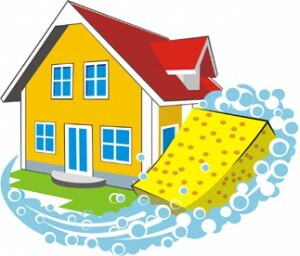 House Cleaning Melbourne is your go to company to for bond cleaning. We work with property management professionals on a daily basis, we know what they want and need. House Cleaning Melbourne will help you get the biggest possible refund of your bond or deposit with our move out cleaning services. House Cleaning Melbourne offers move out cleaning and move in cleaning packages and specific cleaning services for you to choose from based on your needs. We contract with individuals, businesses, renters, landlords, and property managers. *Prices will vary with square feet, number or baths, number of windows. If you are a renter needing to get your deposit back or a landlord needing to make a unit ready to rent, House Cleaning Melbourne is the NUMBER ONE end of lease cleaning company in Melbourne. We have operated in Melbourne for over 25 years, working closely with rental managers and landlords. We have a full understanding of what landlords and property managers need. Apartments, flats, condos, homes, villas, even bungalows and cottages are NOT rent-able if not as clean as can be. We know it needs to be spotless. It needs to smell clean and give new tenants confidence that moving into a unit that is safe and healthful. 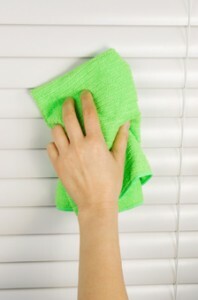 For renters, it is sometimes difficult to get your unit back to move in cleaning condition without professional help. Locally owned and operated House Cleaning Melbourne can get the job done. 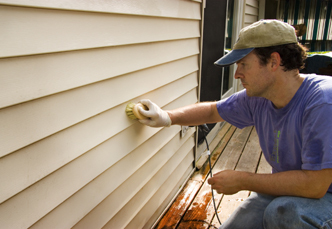 Sometimes bond cleaning with the goal of getting your deposit back takes more than the basic package. A free quote from one of our professional, bonded and insured agents can help you determine if you need any of the additional services we offer. House Cleaning Melbourne employees are subject to complete background investigation including criminal, employment and driving history. Every employee at House Cleaning Melbourne is bonded and insured for your protection. We offer services in Melbourne and throughout the Melbourne greater metropolitan area. When you need quality bond cleaning, move in cleaning, move out cleaning or end of lease cleaning performed call the number one company in Melbourne to get the job done right. At House Cleaning Melbourne, we believe in quality at every level of the cleaning process. That's why we guarantee to fix the price of all our jobs prior to commencing. No surprises. We have over fifteen years experience within the professional cleaning industry, servicing clients in all areas of Victoria. No job is too big or small. © 2019 House Cleaning Melbourne. All Rights Reserved. Powered by Online Crowd Lead Generation Services. House Cleaning Melbourne | Affordable & High Quality End Of Lease Cleaning.